The Urbandale Community School District shall participate in open enrollment, both as a receiving district and as a sending district, pursuant to the Open Enrollment Act and the rules of the Iowa Department of Education. Procedures As A Receiving District. the child was a resident of the Urbandale District and moved out of the District after March 1 but the parents or guardians wish the child to remain enrolled in the Urbandale District. (Students in 11th and 12th grade who move out of the District need only file notice they wish to remain enrolled in the District with the Urbandale District and do not need to file open enrollment applications). Parents and guardians of kindergarten children must make application by September 1. Applications may be filed after the March 1 deadline if the child has been the victim of repeated acts of harassment or has a serious health condition that the resident district cannot adequately address. Applications not filed by the dates above and not meeting the conditions for the filing, may be approved with approval of both the resident district and the Urbandale District in their discretion. b. Applications for students already enrolled in the Urbandale District seeking continuation of enrollment in the Urbandale District after changing residence. The Urbandale Board of Directors (or the Superintendent in authorized situations) shall act no later than June 1 to accept or reject applications to open enroll into the District which were filed by March 1 (or shall act no later than October 30 for kindergarten students). The Board shall act within thirty calendar days if the application was filed after March 1. The Board Secretary shall then provide notice to the student’s resident district and to the student’s parents or guardians within five calendar days of the Board (or Superintendent) action. Requests for transfer into the District by nonresident students under the Open Enrollment Act will be considered in the order in which they are received in the District, with special preference given to siblings of a student already enrolled in the Urbandale District. 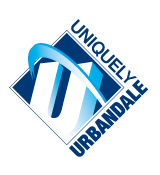 The Urbandale District will enroll all students whose requests are timely received unless sufficient classroom space or an appropriate program is not available for the student. In the event siblings of currently enrolled students submit requests, or in the event siblings applying for first time enrollment in the District submit requests, and sufficient classroom space does not exist in one or more of the grades requested, the Board in its sole discretion may waive the criterion for sufficient classroom space in order to prevent the division of siblings between two school districts. If the student has been suspended or expelled by the sending district, the Board may refuse the request for transfer until the student has been reinstated in the sending district. If the application for enrollment is for a student requiring special education, the request shall be granted only if the Urbandale District has a special education program which will provide an appropriate instructional program to meet the student’s educational needs. This determination shall be made by the Urbandale District administration, after consultation with the sending district and with the Area Education Agency, before approval of the application. The application for enrollment into the Urbandale District shall be for a minimum of one school year. The parent or guardian may withdraw the open enrollment application prior to the start of the school year. The student may be enrolled in the student’s resident district at any time. If a child is open enrolled into the Urbandale District and the parent or guardian wishes to enroll the child in another district which is not the child’s resident district (an “alternative receiving district”), a new open enrollment application must be filed by the parent or guardian with the Urbandale District no later than March 1 preceding the school year for which the transfer is sought (except in cases of alleged harassment or failure to meet health care needs). Denial of an application to attend an alternative receiving district during the term of a school year is not subject to appeal (except in cases of alleged harassment or failure to meet health care needs). Approval of an application is subject to approval of the alternative receiving district. If, after open enrolling into the Urbandale District, the student moves to another district and the parents or guardians wish the student to continue to be enrolled in the Urbandale District, the parents or guardians shall notify the original district of residence, the Urbandale District, and the new district of residence of this decision no later than October 1. If a resident student moves out of the Urbandale District and the parents or guardians wish the student to continue to be enrolled in the Urbandale District, the parents or guardians shall notify the new district of residence and the Urbandale District no later than October 1, except that students who are juniors or seniors need not file such an application but need only notify the Urbandale District. The Urbandale District may refuse to enroll a nonresident student because of a lack of sufficient space which, for purposes of this policy, shall mean conditions exist which adversely affect the District’s ability to implement the educational philosophy and program of the District. The Board shall determine whether there is sufficient space on an annual basis giving consideration to such factors as the grade level, available personnel, educational program, instructional methods, physical space, pupil-teacher ratio, equipment and materials available, finances available, collective bargaining obligations, projected enrollment and facility needs, and District goals and objectives. The Urbandale District has the authority to determine which attendance center students enrolled pursuant to this policy shall attend. The parents or guardians of students enrolled in the Urbandale District pursuant to this policy, including students who are continuation students and students requiring special education, shall be responsible for transporting their students without reimbursement to and from a point on a regular school bus route of the Urbandale District unless the parents or guardians financially qualify for transportation assistance under the rules of the Iowa Department of Education. Procedures as a Sending District. b. the student moved to the Urbandale District after March 1. Applications may be filed after the March 1 deadline if the child has been the victim of repeated acts of harassment or has a serious health condition that the Urbandale District cannot adequately address. Applications not filed by the dates above and not meeting conditions for late filing may be approved with approval of both the receiving District and of the Urbandale District Board of Directors in their discretion. (b) if the application alleges the student was the victim of repeated acts of harassment or that the student has a serious health condition which the Urbandale District cannot adequately address. have the right to appeal the denial to the Iowa Department of Education if there is an allegation the student was the victim of repeated acts of harassment or that the Urbandale District cannot adequately address a health need. A change in the family residence due to the family moving from the district of residence. A change in the state of residence allowing a parent/guardian moving into an Iowa school district from out-of-state to obtain open enrollment. A change in the marital status of the student’s parents. A guardianship or custody proceeding. Placement of the student in foster care. Participation of the student in a foreign exchange program. Participation of the student in a substance abuse or mental health treatment program. Reorganization–failure of the AEA board to vote in favor of a reorganization proposal, failure of the AEA board to act on objections to exclude territory from a reorganization proposal, or failure of a reorganization election. Dissolution action–failure of a dissolution commission to make a recommendation to the board, failure of the board to take positive action on objections filed by residents of the district to a dissolution proposal, failure of contiguous districts to accept a dissolution proposal, or failure of an election on a dissolution proposal. Whole-grade sharing action–failure of the board to pursue negotiations for a whole-grade sharing agreement for which it has given public notice by board action of its intent to pursue, failure of the board to approve a request by a parent or guardian to send a student to a contiguous district, failure of the board to extend or renew a whole-grade sharing agreement, or unilateral rejection by the board of a whole-grade sharing agreement prior to expiration of the agreement. Loss of accreditation — the removal or surrender of accreditation. School closing — the permanent closing of a nonpublic school attended by the student. Open enrollment requests for good cause related to a change in status of the district must be made by the parent/guardian and received by the district within 45 days of the last board action or within 30 days of the certification of an election, whichever circumstance is applicable. By September 30 of each year, the District shall give notice to parents or guardians of the open enrollment deadlines, of transportation assistance for eligible families, of the possible loss of athletic eligibility for open enrolled students, and of the fact that a parent or guardian may, within 30 days of a denial, file an appeal with the Iowa Board of Education only if the request was based on an allegation of harassment or a serious health condition that the District cannot adequately address, and that all other denials can only be appealed to district court in the county where the primary business office of the District is located.